EU Business School, Munich is one of the four physical campuses of EU Business School, which offers business programmes taught in English at Foundation, Bachelor’s, Master’s, MBA and doctoral level. Munich is the ideal location for your business studies, a city full of culture whilst also the major economic power in Germany. The EU Munich campus is located in Theresienhöhe (close to Bavaria Park), and benefits from state-of-the-art learning facilities and close geographical location to headquarters of global enterprises such as MBW and Coca-Cola. EU Business School’s other physical campuses are located in Switzerland (Geneva), Spain (Barcelona) and another in Switzerland (Montreux). EU Business School also offers programmes taught by Online Learning. Higher education programs are available from EU Business School covering a range of business topics such as Business Administration, Finance, International Business and Marketing. Class sizes are small at EU Business School, offering you the chance to experience learning tailored to your personal requirements, with access to excellent academic curricula drawing upon both North American and European learning methods. The high standard of education offered by EU Business School is reflected in its performance in global education rankings such as CEO Magazine’s Global Online MBA ranking, in which EU’s Online MBA has ranked top for four consecutive years, and QS Stars, which awarded EU four stars for overall excellence in business education. EU business school is professionally accredited, fulfilling the high-quality criteria required by The Accreditation Council for Business Schools and Programs (ACBSP), The International Assembly for Collegiate Business Education (IACBE) and CEEMAN International Quality Accreditation (IQA). Furthermore, EU Business School has been certified by eduQua, the first Swiss quality label geared toward adult continuing education. EU Business School is comprised of four physical campuses and its Online Campus. 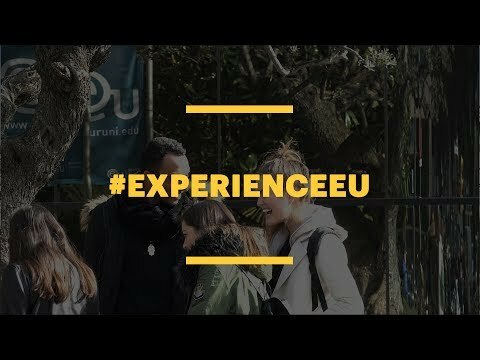 This affords EU Business School students a unique opportunity to interact and learn through transfer opportunities between EU campuses and guest lectures and industrial visits from international business leaders. EU Barcelona comprises of two campus locations near to the centre of the city, including a state of the art ten-storey building in the heart of the Barcelona business district, opened in 2017. Barcelona is a world leading economic centre which benefits from superb leisure and business opportunity. EU Business School, Geneva is located nearby the Pont du Mont-Blanc (Mont-Blanc Bridge), alongside the river Rhône. Geneva is one of the world’s leading financial centres, a hot-bed of international organizations and international conferences, making it the ideal location for international business students. Situated in an area of outstanding natural beauty on Lake Geneva, Montreux is host to the EU Montreux campus. Boasting a stunning setting and vibrant international music scene, Montreux is also home to a large population of students. For business professionals demanding flexible learning schedules, EU Business school also provides flexible, online learning business programs that can be studied full-time over the period of one year or part-time for two years. With learning curriculums expertly tailored to the needs of each student, EU Business School’s online learning programs are ideal for preparing yourself for leadership or management roles in business. Delivered via a combination of online lectures, online courses and seminars, you will also have the opportunity to meet and interact with your peers and tutors during On-campus weeks, which are held three times per year (You are only required to attend one on-campus week of your choice during the duration of your study). EU Business School offer business programmes at a range of higher education levels to suit your requirements, from Foundation courses designed to improve your language skills and prepare you for future studies, to Bachelor’s and Master’s degrees to MBA and Doctorial studies. Check here to see if you meet admission requirements for the programme of your choice. EU broadened my mindset and set me on the right path to building my own business. The entrepreneurial spirit at EU is strong, and the international student crowd builds a solid foundation for lasting alumni relationships. At EU, I found intellectually stimulating discussions, international colleagues, networking opportunities and relevant courses that bridge business theory and practice. After my MBA, I felt I could immediately apply the knowledge and skills I had acquired to my work. Career services helped me prepare my CV and cover letter in a German format in a professional way. And it didn’t stop there, I also got guidance on how to network and look for further opportunities within my workplace. EU Business School continuously explores affiliation opportunities with world-class institutions. In partnership with the University of Derby, the University of Roehampton in the U.K. and the Universidad Católica de Murcia in Spain, students can participate in undergraduate and graduate programs to earn a state-recognized degree while studying on EU campuses. At undergraduate level, EU students on the Barcelona and Munich campuses can complete a Bachelor of Arts (Hons) in one of six tracks: business management, international business, marketing, finance, enterprise and human resources management. These programs take place on EU campuses, and students graduate with a U.K. state-recognized undergraduate degree awarded by the University of Derby. The University of Derby is a public university that is recognized by the U.K. government higher education authorities and the National Recognition Information Centre (NARIC), and audited by the Quality Assurance Agency for Higher Education (QAA). The university is the first U.K. university to deliver CMI (dual) accreditation through their international partners. The University of Derby programs have the additional benefit of being accredited by the Chartered Management Institute (CMI), which gives students the possibility of achieving an additional qualification - CMI’s Diploma in Leadership and Management. At undergraduate level, EU students on the Geneva, Montreux and Munich campuses can complete a Bachelor of Science (Hons) in International Business. Students begin by following the EU curriculum of their chosen specialization, before completing the University of Roehampton courses on their EU campus. In addition, students complete a dissertation. Students graduate with a U.K. state-recognized undergraduate degree awarded by the University of Roehampton. At graduate level, EU students from all campuses, with two or more years of work experience, can obtain a University of Roehampton MBA, while students with less than two years of work experience can obtain an MSc in International Management. Students graduate with a U.K. state-recognized degree awarded by the University of Roehampton. The University of Roehampton in London, U.K. adheres to the standards set by the U.K. Quality Assurance Agency for Higher Education (QAA). It is recognized by the National Recognition Information Centre (NARIC). In 2014, the university was named the most research-intensive modern university in the U.K. The Universidad Católica de Murcia (UCAM) is an official private university recognized by the Spanish Ministry of Education, the Regional Government of Murcia and audited by the National Agency for Evaluation Quality and Accreditation (ANECA). UCAM is also a member of the European University Association (EUA) and the International Federation of Catholic Universities (IFCU). Founded in 1996, UCAM is situated close to the city of Murcia in south east Spain. With more than 15,000 students, this prestigious university offers small classes and personalized tuition. All EU students on the Barcelona campus who successfully complete a master´s or MBA program will receive a state-recognized degree awarded by UCAM. In October 2017, EU extended its partnership with UCAM by signing an agreement through which UCAM recognizes and accredits the MBA programs offerered on EU's Barcelona campus.